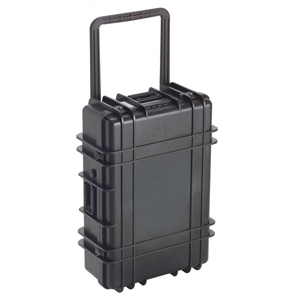 THE TOUGH ALL ENVIRONMENTAL PROTECTION LOADOUT CASE, INCLUDES FOAM INSERT AND WHEELS. The LoadoutCase® all weatherproof container is based on a proprietary polypropylene resin blend. The pluck foam filling can be easily customized to protect all shapes of delicate objects. Great for protecting delicate dive gear, photographic equipment, boating instrumentation and other travel sensitive items.